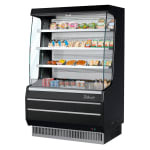 The Turbo Air TOM-40MB-N open display case makes it convenient to grab product with its open design. An air curtain is created over product to keep it within the safe zone, and temperatures are maintained by R290 hydrocarbon refrigerant. 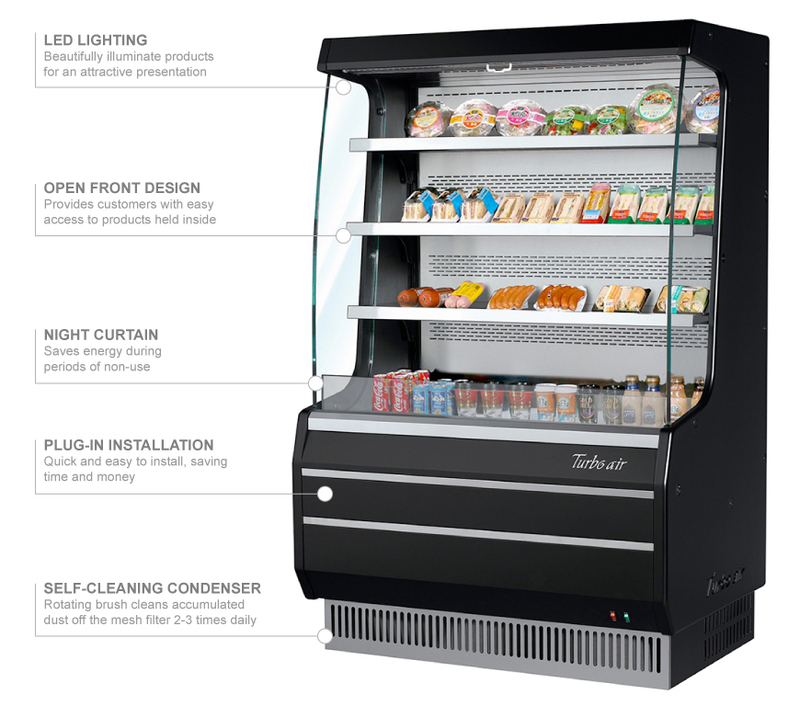 All the components of the refrigeration system are built together to make it easy to service. A self-cleaning device on the condenser removes built-up dirt and debris to prevent the system from overheating. The cabinet comes in black to match almost any establishment's theme. Constructed of stainless steel, the three shelves resist corrosion and are easily cleaned. 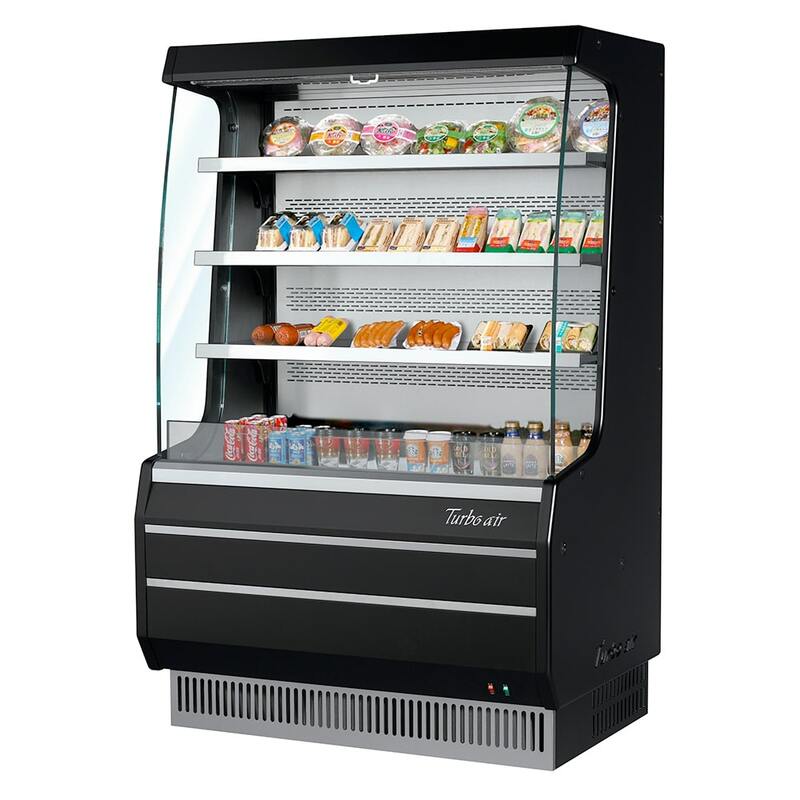 Cold air is kept inside the cabinet with polyurethane insulation, and LED lights illuminate the interior. A back guard is built into the Turbo Air TOM-40MB-N open air cooler to keep items from touching the back wall and blocking air flow. The back and top are perforated to help with air flow.